Nationals of 33 countries such as USA, UK, France, Italy, Germany, Canada, Australia, New Zealand, Japan, The Netherlands, Belgium, Luxemburg, Switzerland, Austria, Sweden, Norway, Denmark, Portugal, Ireland, Greece, Finland, Spain, Monaco, Vatican, Iceland, Andorra, San Marino, Liechtenstein, Brunei, Singapore, Malaysia, Hong Kong, South Korea need not apply for a tourist or business visa prior to arrival in Qatar. They have the privilege of obtaining these visas upon arrival at the Doha International Airport. Apart from the countries mentioned above, nationals of the Gulf Cooperation Council are also allowed to enter Qatar without a visa while those that are not eligible for the visa exemption are required to obtain the proper paperwork. 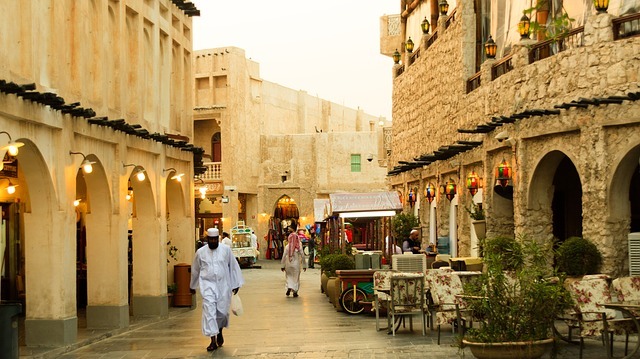 Qatar strongly regulates the movement of foreign nationals in its territory and issuances of visas are subject to strict bureaucratic procedures. Keep in mind that a work residence visa for this country will only be issued to applicants who have secured a firm job offer. The employer will serve as the expatriate’s sponsor and is responsible for most of the administrative work of the visa application. One of the essential requirements for a Qatar Work Residence Visa is a job offer or employment contract that has been attested by the Ministry of Labour. The contract must bear significant details such as the job description, proposed salary, benefits package and flights to and from the home country of the expat employee. After the medical test and fingerprinting, the expat will receive his Work Residence Permit and Qatari ID card. Take note that foreign nationals who leave Qatar for more than six months can lose their residence status unless they have applied for an extension. Employers also have the right to restrict the expat to change jobs because the Work Residence Permit is only applicable to the company that processed it.